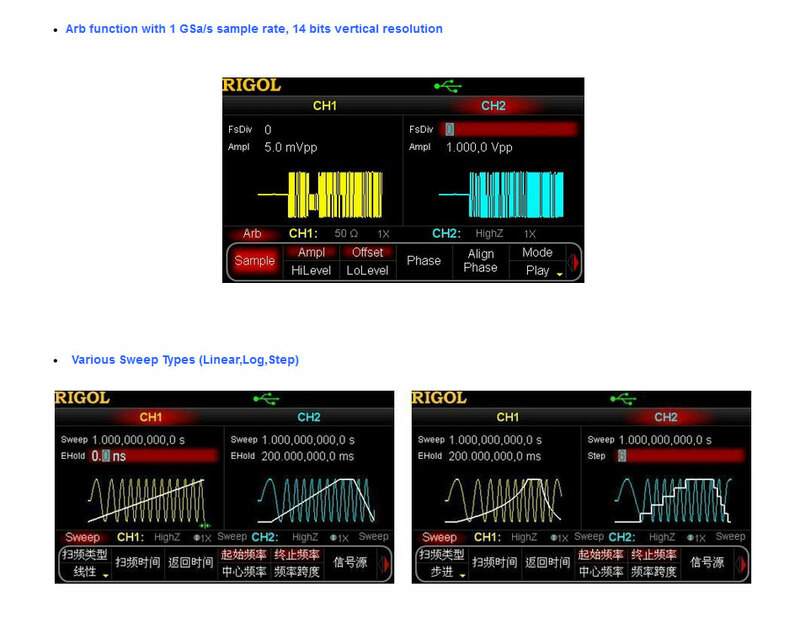 Rigol DG5102 - Arbitrary waveform function generator with 2 output channels, 100 MHz max. output frequency and 1GSa/s sample rate. 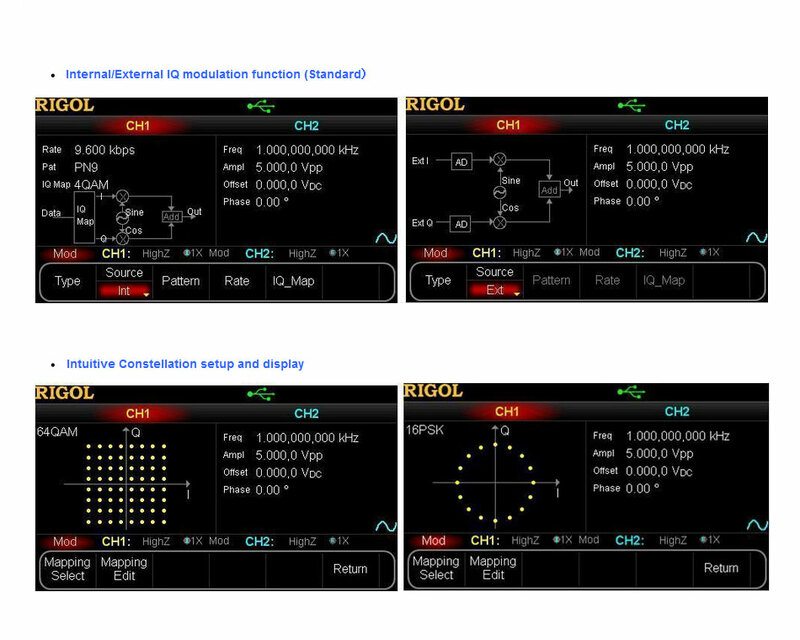 Rigol DG5102 is a multifunctional generator that combines many functions in one, including Function Generator, Arbitrary Waveform Generator, IQ Baseband Source/IQ IF Source, Frequency Hopping Source (optional) and Pattern Generator (optional). The model is dual-channel, with two channels having complete equivalent functions and precisely adjustable phase deviation between the two channels. 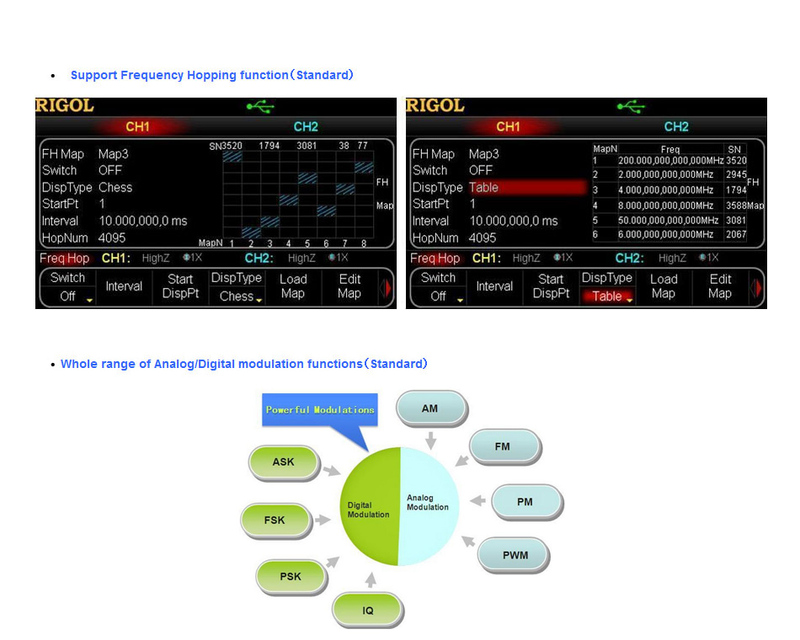 DG5102, adopting the Direct Digital Synthesizer (DDS) technology, can provide stable, precise, pure and low distortion signal. The user-friendly interface design and panel layout bring users exceptional experience. Besides, the remote control of the generator can be easily done through different standard configuration interfaces, which provides more solutions for users. 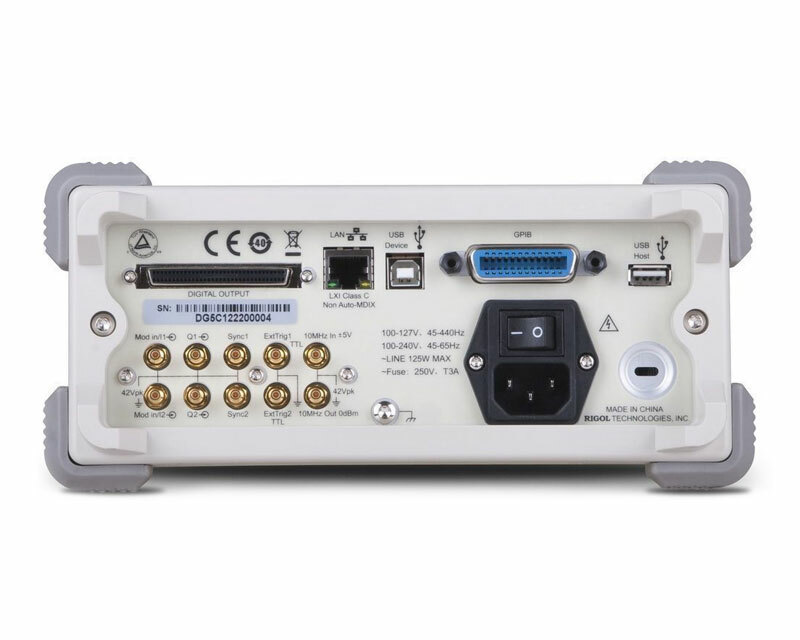 Rigol DG5072 - Arbitrary waveform function generator with 2 output channels, 70 MHz max. output frequency and 1GSa/s sample rate. Rigol DG5252 - Arbitrary waveform function generator with 2 output channels, 250 MHz max. output frequency and 1GSa/s sample rate. 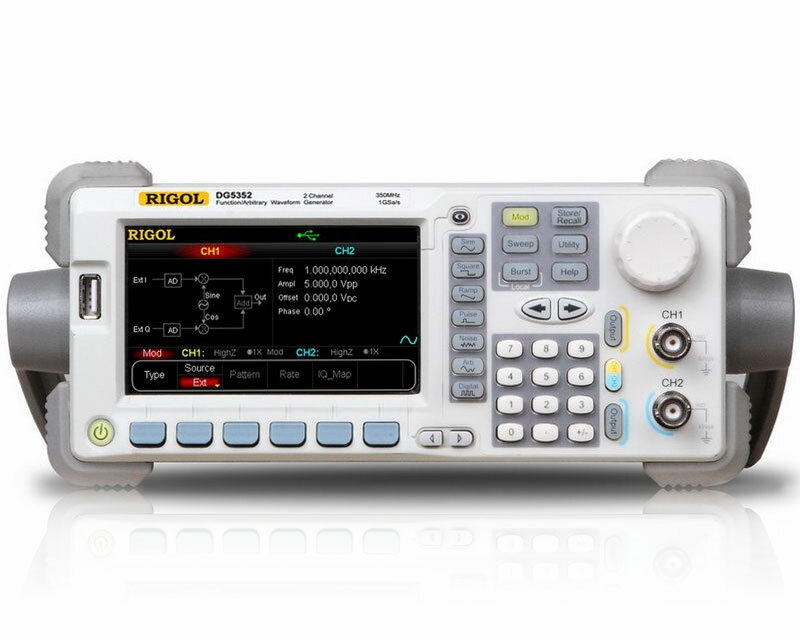 Rigol DG5352 - Arbitrary waveform function generator with 2 output channels, 350 MHz max. output frequency and 1GSa/s sample rate.